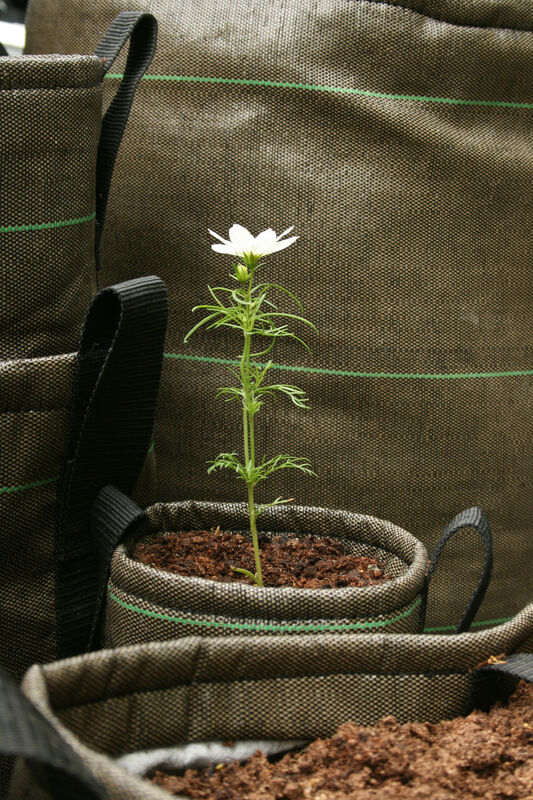 Nature in a bag! 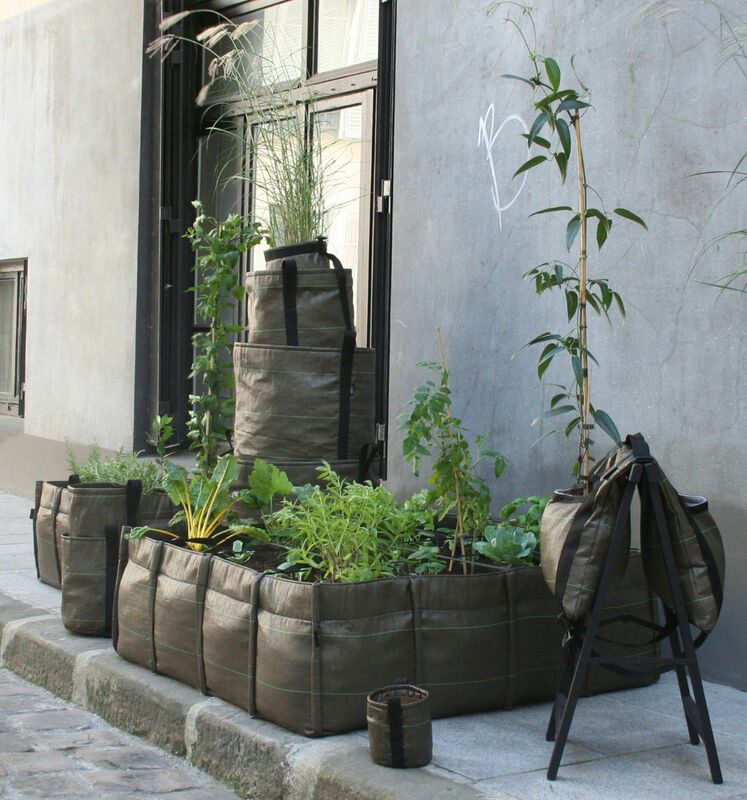 BacSac is a collection of textile flowerpots in urban and laid-back look. 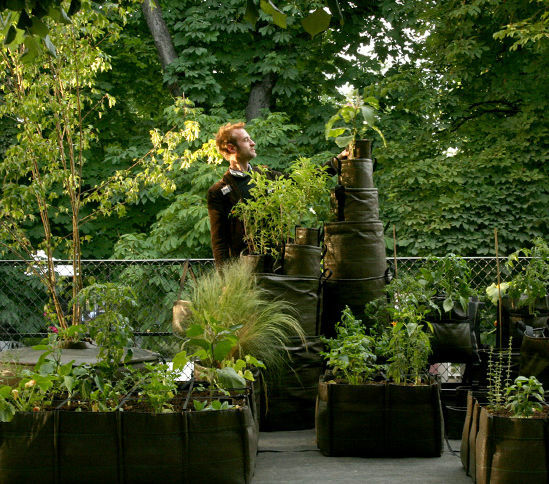 These supple, ultra lightweight, mobile containers represent an alternative to traditional heavy and expensive planters. 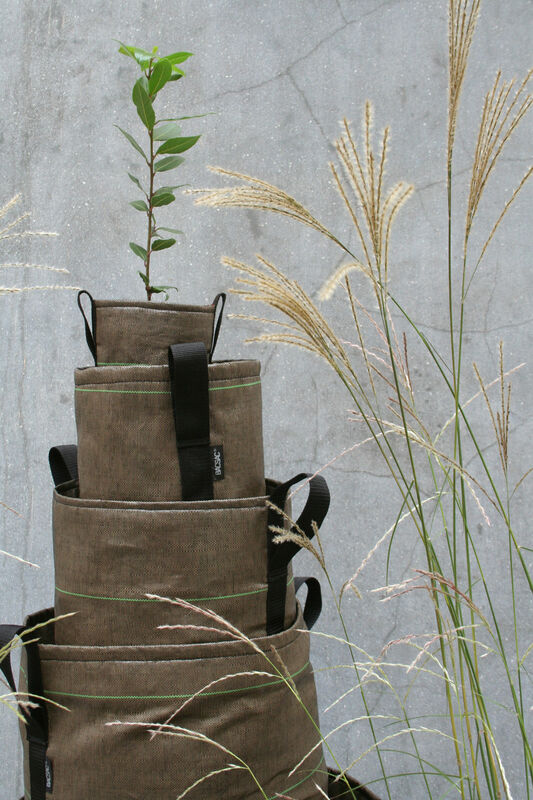 BacSquare (90 x 90 cm - 330L) offers to all city-dwellers a simple way to have a small garden on their balconies! 9 patches are defined by four straps where, according to the season, flowers, herbs, fruits and veggies can grow. 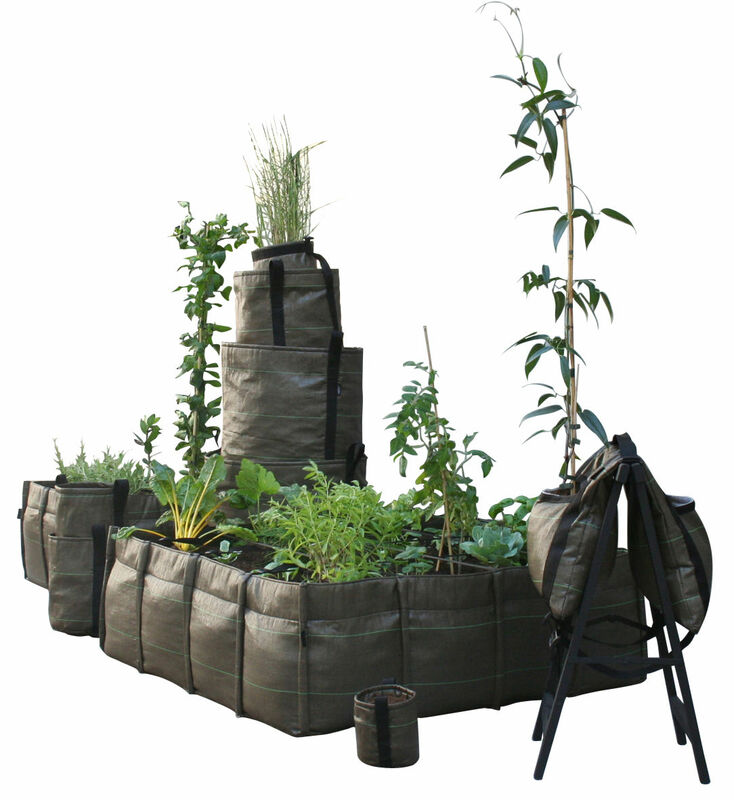 Rediscover the pleasure of planting your own vegetables, seeing them grow and eating them! BacSquare is ideal for making a green area in rooms of limited space (balconies, terraces....). Very useful: you can fold up this bag in a sec and keep it anywhere! 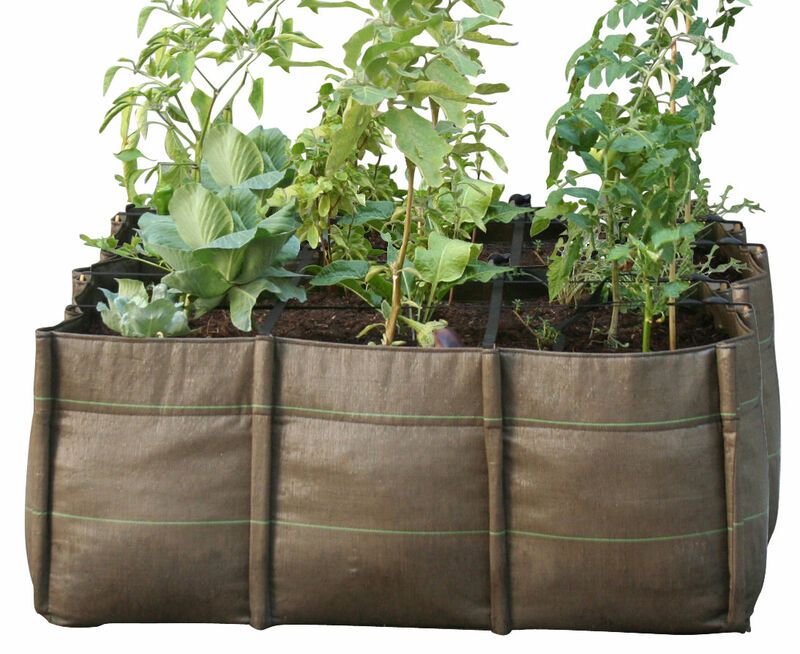 BacSquare is made of 100% recyclable geotextile that allows good water and air circulation and thus supports plant growth, because it limits evaporation, lets the ground breath and protects the roots. BacSquare provides almost the same conditions as those you have when planting outside. Last but not least, BacLong is shockproof and frost resistant. 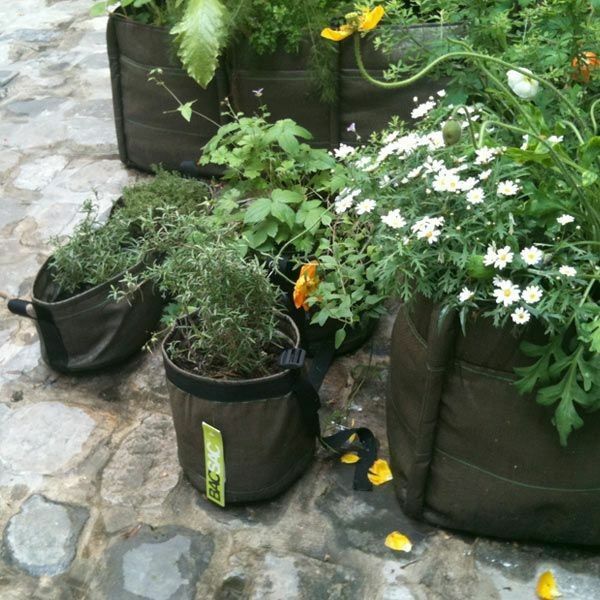 BacSac flowerpots are available in an array of different sizes and versions for creating real garden areas in cities or countryside, on balconies, in gardens or living rooms!